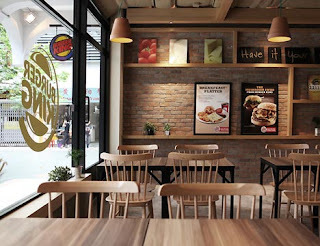 Sonia Angus: Burger King – New Interior Identity. 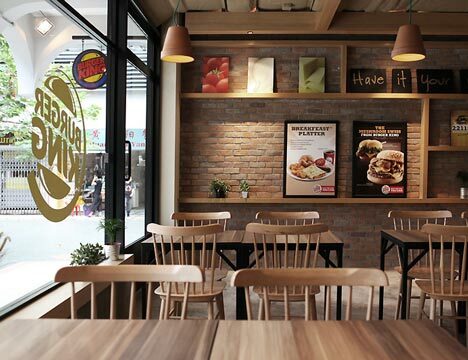 Burger King Singapore has had a makeover. 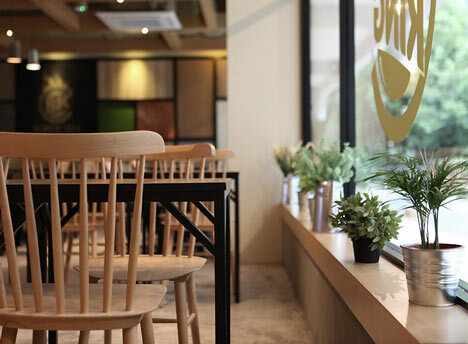 ‘Outofstock’ were commissioned by Burger King Asia specific to design a new look for the interior of their takeaways. The design was intended to be welcoming, appealing to families with children, teenagers and not alienate existing customers. 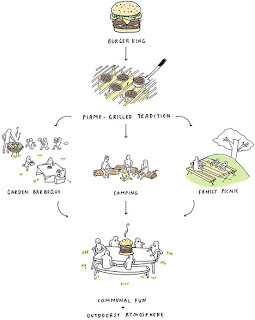 Whilst researching the Burger King brand the words ‘flame grilled’ kept reappearing. ‘Outofstock’ took these words as a starting point for their design associating this with BBQs, camping, family picnics they came up with the idea of the ‘BK Garden’. The interior was then designed to imitate a garden. Exposed brick walls, metal framed wooden dinning tables, and sofas upholstered in outdoor materials have been used. Plants are scattered around the restaurant, a roof trellis hides the exposed services and posters of the food have been framed and placed on wooden shelves. Plant pots have also been used as pendant lights to add to the garden theme. 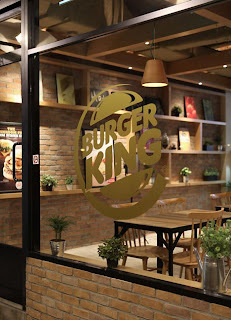 Whilst creating a welcoming atmosphere this new design also creates a new image for Burger King. The garden theme, through the use of healthy plants and natural wood creates an image of healthy eating. The pictures framed in the store show the freshest tomatoes, these little touches would make customers think the food they are eating isn’t bad for them. 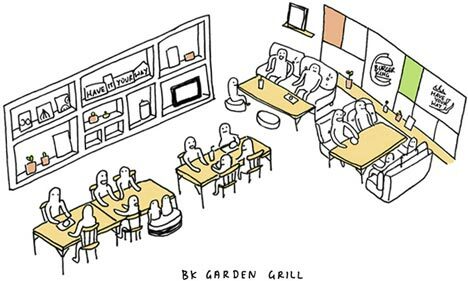 In today’s environment where people are becoming more conscious of the foods they are putting into their body restaurants like Burger King that don’t sell healthy food have to have a new image for customers to buy into. It might not actually be healthy but it certainly has to look it. As I was looking at this design I came across some of ‘Outofstocks’ sketches of it. I really like this style even although the drawings are cartoons they still look realistic and explain their ideas well.